For years I wondered why kids were trick-or-treating in my Grand Rapids neighborhood at like 5:30. I thought trick-or-treating started at 6:00, so I didn’t get ready until then. This year I learned that candy collection starts at dusk for the city of Grand Rapids; now all those vampires and Vaders knocking on my door at 5:30 makes sense! Wondering when your town trick-or-treats? We’ve called all the local municipalities to get you official start and end times. Some communities have set times, and others don’t designate. 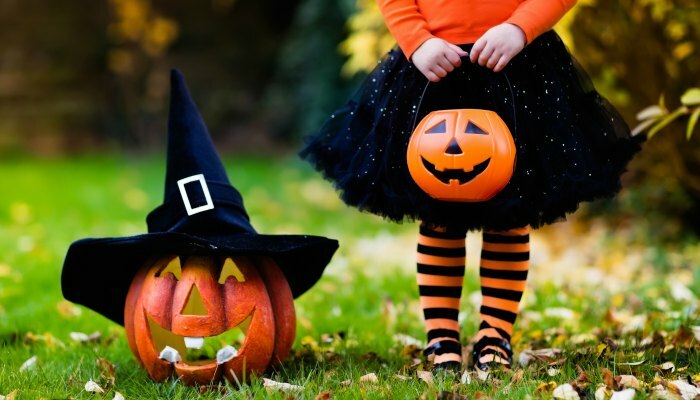 Either way, you’ll be ready for the costumed cuties at your door, and know when to send your own out to the streets to fill their bags with candy. Click the box for trick-or-treating details for your community. Confused why can’t I find comstock park on Any list?? I love how you made it so that you don’t have to click on each city you are looking for!!! It just flips around! Will you be updating this for 2018?